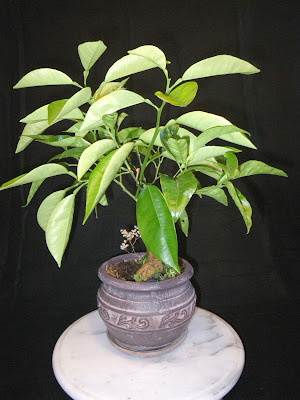 Lemon tree is said that is a heritage of the Roman Empire in Europe, his origin being a mystery: is presumed that first lemons grown in India, Burma and China, and entered in Europe during the time of Ancient Rome. In Americas was introduced by Christopher Columbus who brought lemon seeds to Hispaniola along his voyage. Initial was used as ornamental plant and in medicine, later on being used, also, in cooking and flavoring. 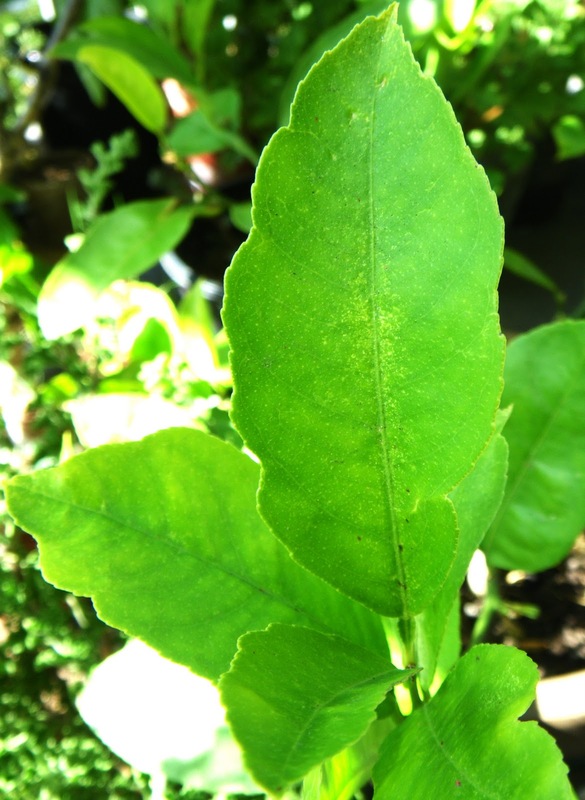 Several other plants as lemon-scented pelargoniums, lemon-thyme, lemon-grass, lemon-basil or lemon-myrtle have similar flavor and taste, but contain no citric acid. Lemon juice has 5% - 6% citric acid and is a good source of Vitamin C (around 40mg Vitamin C / 100g lemon fruits). Now are many varieties all over the world: Eureka, Lisbon, Meyer, Ponderosa, Verna, Villafranca, Yuzu, Satsuma, Clementine, Calamondin, variegated white or pink, with classical high or dwarf habit. Two years ago, in spring, like every year, I went to VanDusen Plant Sale. In this day, admission to the VanDusen Botanical Garden is free and you can choose from thousands of plants for sale. After we walked through herbs, cacti and succulents, perennials, vines, tropicals, roses, trees, orchids, geraniums and pelargoniums, shade plants and berry bushes, we decided to buy a two-three years old Citrus Aurantifolia - "Bear's lime" with an amazing fragrant blooming and a very interesting trunk that seemed to be a perfect addition in our scented plants collection. 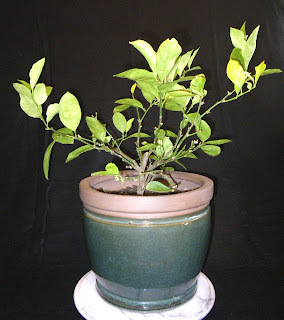 Lemon trees are easy to grow and this variety has large limes, fragrant flowers when blooming and its glossy evergreen leaves are used in cooking year round. 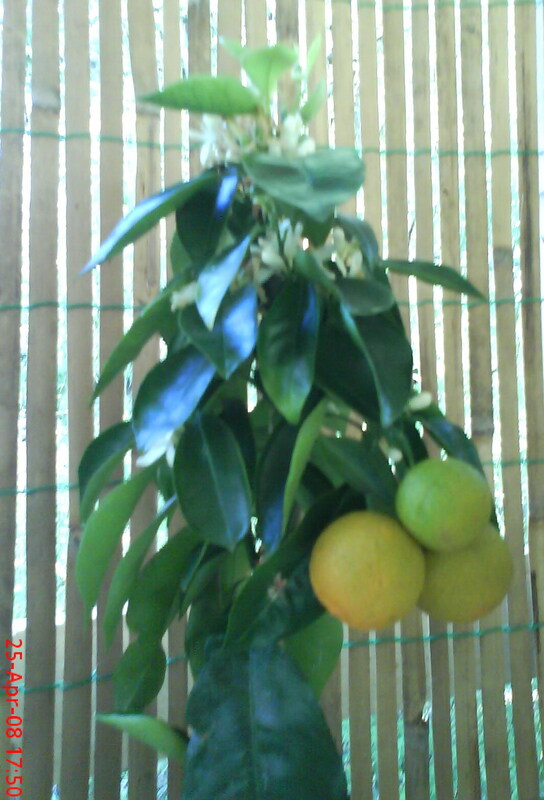 Is better to purchase a fruiting plant if you want to eat fresh lemon fruits from your garden. 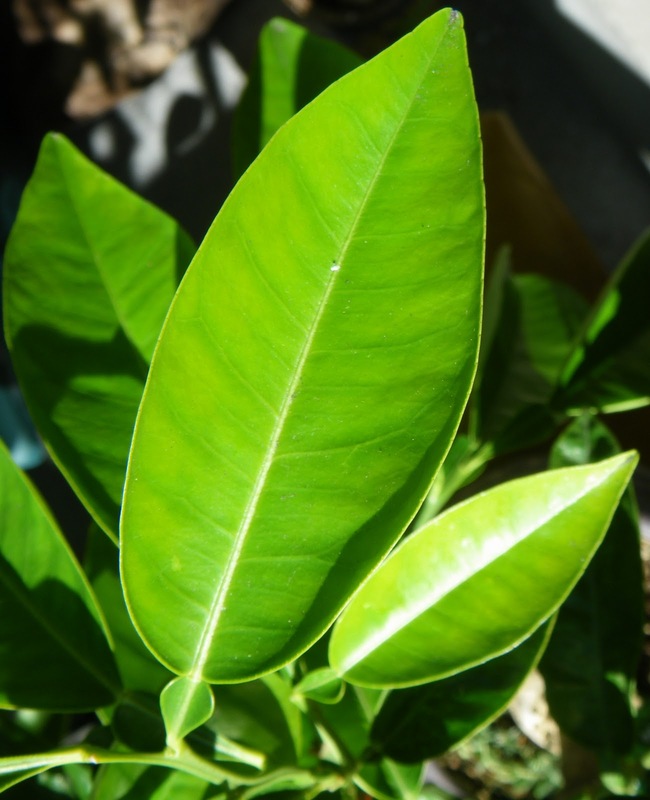 Lemon trees can stay indoor year round or in a cool-greenhouse with bright light. But the plants will thrive outdoors after spring frosts have ended – none can tolerate more than a touch of frost. 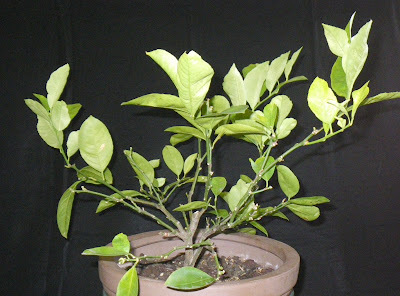 We discovered this last spring (2009) when our lemon tree was in preparation for the outdoor move. One day, even was a sunny day, the temperature was too low and its defoliation was really bad. New leaves and branches appeared long time after this misfortune, and it was necessary to trim it drastically. This spring (2010) we tried to transformed it into a nice lemon bonsai and we re-potted it into a small and nice brown pot. This summer the sun was generous with his foliage, and now looks really handsome. In spring we decided to purchase another one, and after we have been looking locally, we found one dwarf lemon tree "Citrus Lemon". 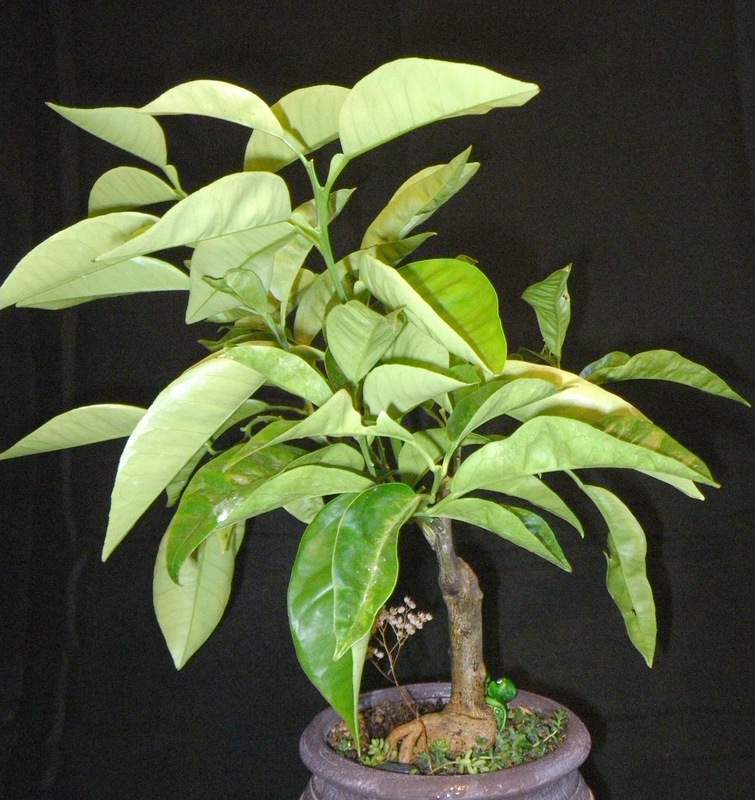 Dwarf specimens reach only 4 - 10 feet, while standard varieties reach 20 - 30 feet to maturity. 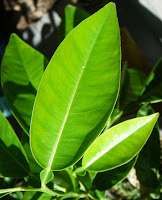 His leaves are different, less shiny, more rounded and with ribbed edges. We trimmed it also and left him in a large pot to be sure that will grow quickly with powerful branches and will make many fruits. 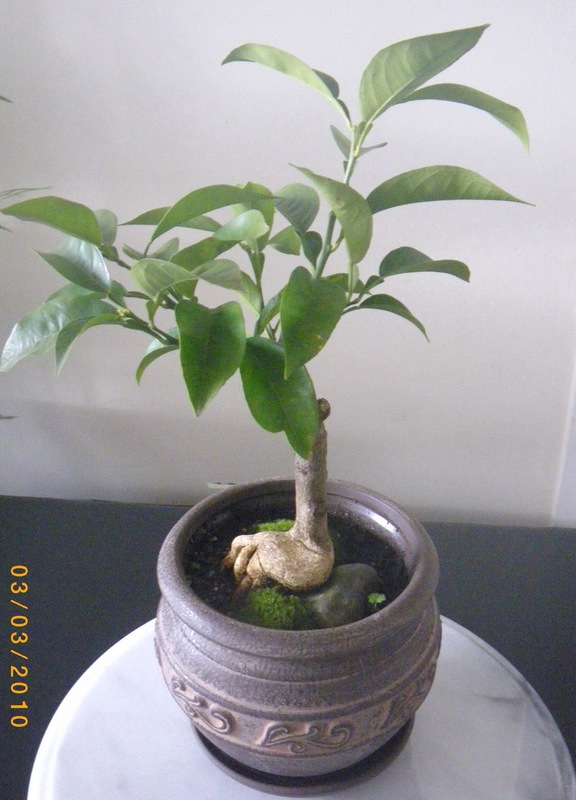 We are not decided yet if will transform it into a lemon bonsai or not. Will see after this winter what shape will find suitable for its branches.